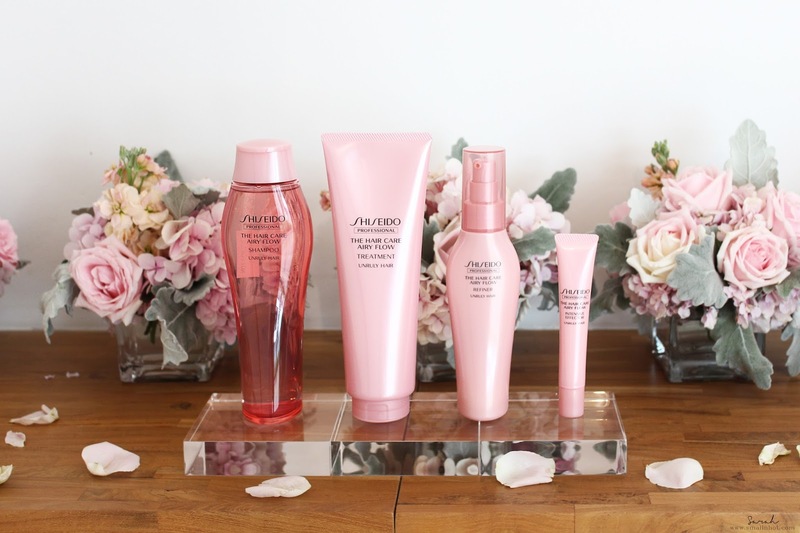 Shiseido Professional The Hair Care Airy Flow Range - Solution to Unruly Hair ? We all dream of smooth and silky hair but the reality is it's a far reach to achieve. 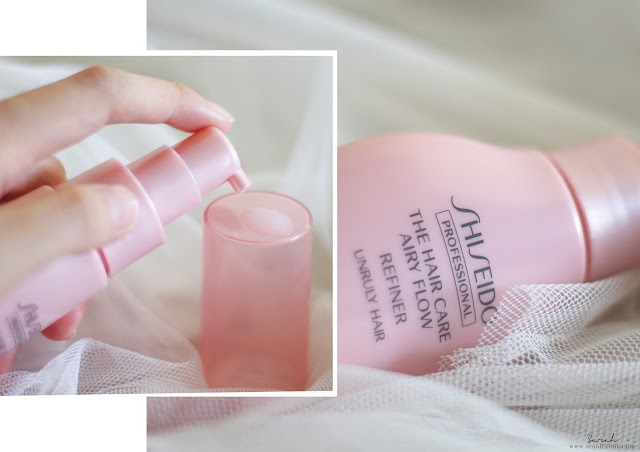 So today I'm going to talk about my experience with Shiseido Professional Airy Flow Range that promises to mend unruly hair to a Smooth and manageable difference, let's find out..! Shiseido Professional The Hair Care Airy Flow consists of 4 products - Shampoo, Treatment, Intensive Effector and Refiner. 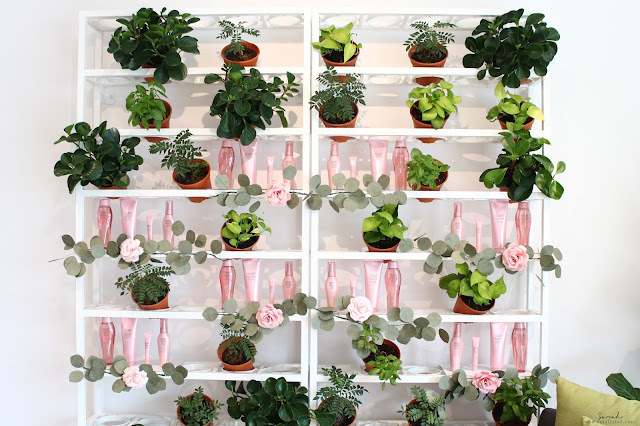 By using the entire range, hair's softness and resilience are enhanced, easily achieving hair that is as light as air, moving freely and naturally. You'll LIKE it if you have hard and stiff hair or hair that is damaged by hair styling. You'll HATE it if you have soft and thin hair by nature because this will soften your hair and will not give you that voluminous hair unless you add some volume styling products before leaving the house. Shampoo - This shampoo isn't going to win any awards in the 'volume' category, but it does leave your hair feeling clean and soft. You can easily brush through your towel dried hair with no problem. Treatment - Everyone's hair texture is different so if you didn't get the softness you desired from the shampoo, work in a little treatment and massage deeply . Then rinse thoroughly. It should get the job done. Intensive Effector - A little heads up, I have yet to try this product out as this is a weekly in-house / salon care special treatment step. It features a softness-boosting effect to maximize the effect of the Flow Motion Technology and formulated with the highest amount of Micro Bouncing Complex. So if you are interested in experiencing the new Flow Motion Technology, head down to a Shiseido Professional salon to try it. Refiner - Of the entire range, this is my favourite ! It's a great multi-tasker that makes hair silky-smooth and adds hydration without weighing it down and looking greasy, not to mention the fact that your hair smells incredibly fruity too. Also did not feel the need to use a detangler brush afterwards. Shiseido Professional The Hair Care Airy Flow range will be available in Shiseido Professional salon from Aug 2017 onwards.